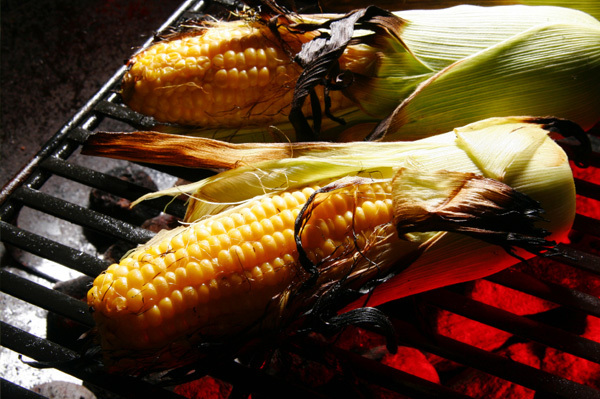 Nothing describes summer better than lounging on your porch while nibbling on freshly picked corn on the cob. Here are four different ways of cooking this "staple" vegetable! If you want a smokey flavor...Grill it! If you want a classic flavor...Boil it! If you want to preserve the nutrients...Oven Roast it! If you are pressed for time...Microwave it! Bon'App Tip: Cut down on butter and salt! According to Bon'App, one ear of plain yellow sweet corn has 59 calories, 3mg of salt, and 0g of bad fat, while the same treat loaded with butter and salt has 155 calories, 29mg of salt, and 2g of bad fat. baked corn on the cob is a tasty treat everytime.